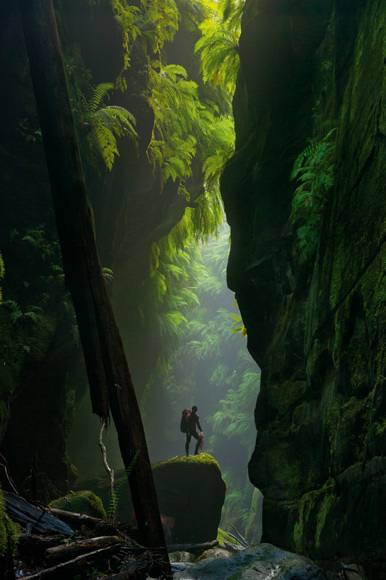 The October issue of National Geographic had an awesome photo essay of the lush enclosed environments in Australia's so-called "slot canyons." Oversized ferns, moss backed boulders - it looks like a land lost to time and a wealth of terrarium fodder. Check out the slide show at NatGeo!